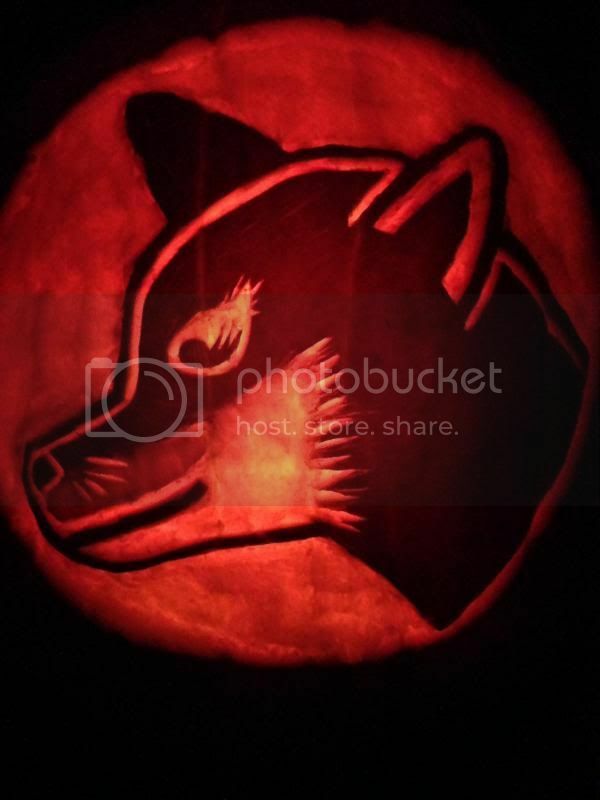 This is our first carved pumpkin but I just wanted to share and see if anyone was doing any shiba halloween decorating? Wow you guys are talented!! Wow the pumpkins are all so beautiful and amazing! 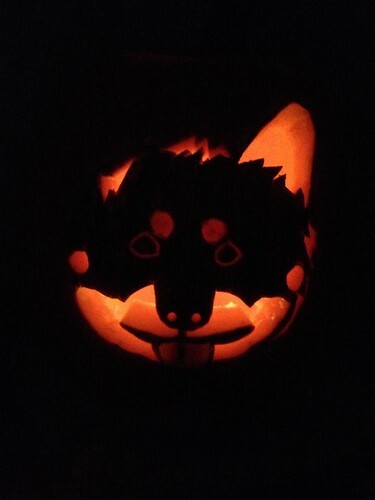 btw...your actual pumpkin Shibas are amazing! @saya I LOVE the pumpkins! you really captured their expressions!! @melzskeez I LOVE that costume!!! Especially the hat! We got one too for Navi but the hat bothers her ears a lot! 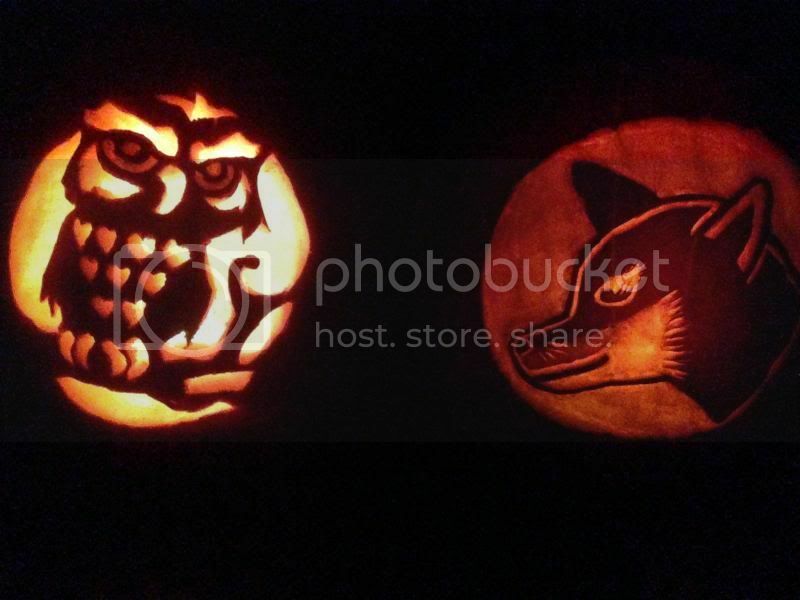 WOW...the pumpkin carvings are amazing! 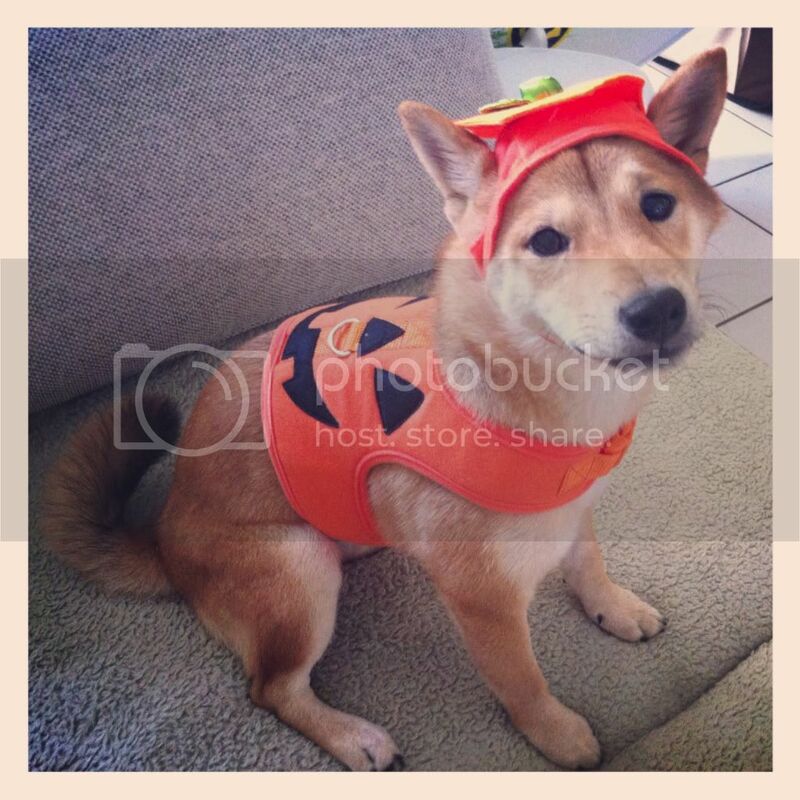 And the Shiba's dressed as pumpkins are adorable! Not a pumpkin, but had to share!!! Did you do these using a pattern or freehand? They are awesome!!!!!!!!! It's awesome!!! I love it!!!! HOW DID YOU DO THAT. I tried, but I failed, lol. 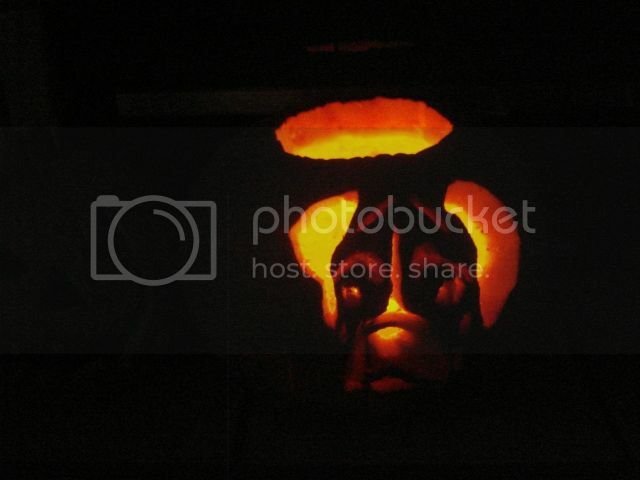 My pumpkin looked so retarded, like a 2 year old was doing it. I think I'll just go for the dog pumpkin costume, much easier. LOL I gotta admit we were worried about ours at one point.. it was not looking like the image at all but right before giving up we put the light on inside and it gave us hope we were on the right track..
@Navi @orangedoggie @Saya you people have too much talent! I've made a dragon one year, howling wolf another, scary cat free hand. I might try a shiba this year. 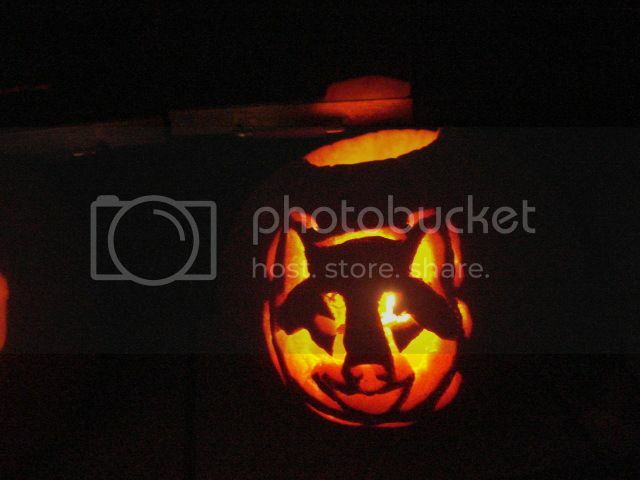 Shiba-o-Lantern time again! 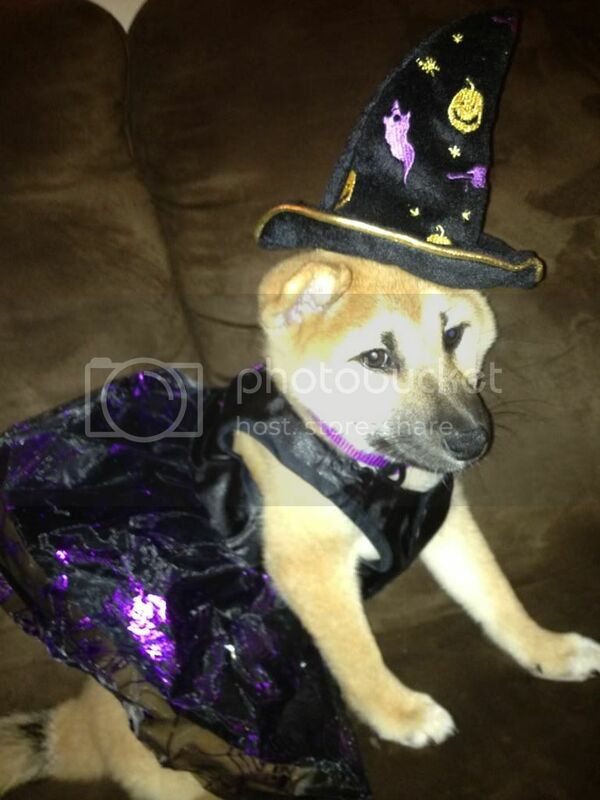 This is my first attempt at a shiba or really anything besides a Jack Skellington face! This is actually based of a picture of Ember and in the dark it looks like her (black and tan) but in the light it looks like Nikko (red and cream)! wow people are skilled here! Im impressed! 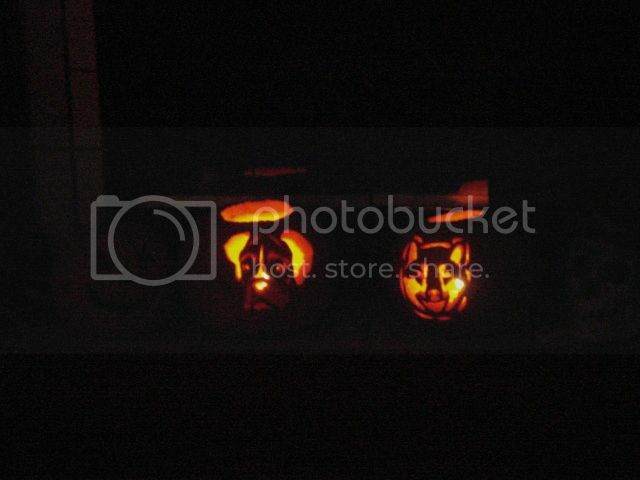 Seriously guys, these pumpkins look amazing! Great work everyone! 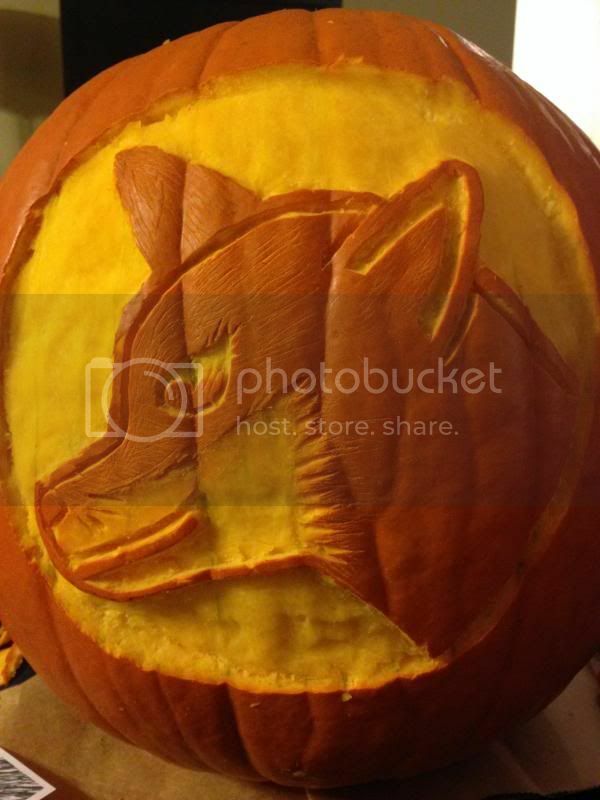 These pumpkins are definitely amazing!